The Parsis of Sri Lanka are an intriguing community. They are very small; so small that you can count their families—the Billimorias, Captains, Choksys, Pestonjees, and Jillas—with your fingers. There are only around 40 Parsis in Sri Lanka at present. At no time during their residence here did their numbers exceed a couple of hundreds at most. Yet, the Parsi community’s contributions to our nation far exceed their numbers. They have produced eminent citizens, including a Government Minister, a Judge of the Supreme Court, business barons, captains of industry, military men, media personalities and philanthropists, among others. The Parsis are originally from Persia, as Iran was known then. In fact, the very word Parsi means ‘Persian’. 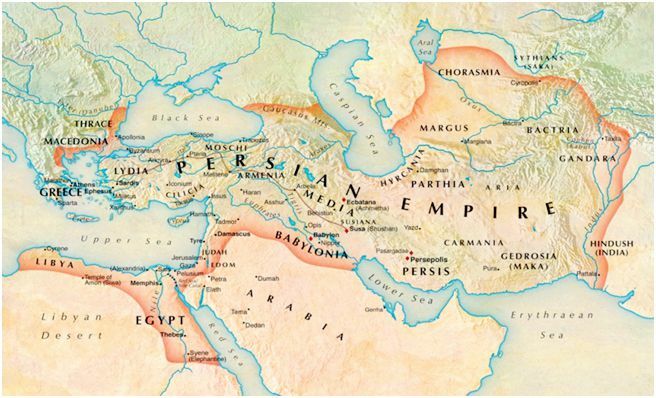 Their ancestors then ruled over a superpower, for Persia was one of two superpowers of ancient times, the other being Greece. One may recall the Battle of Marathon fought in 490 BC, which gave the famous Olympic run its name—that battle was fought between the Greeks and Persians. Then came the armies of Islam in the seventh century. Prophet Muhammad had stated that those Persians who followed the Prophet Zarathustra were to be treated like the ‘People of the Book’, meaning that they were to be protected like the Jews and Christians as recorded in Abu Yusuf’s Kitab Al Kharaj. Unhappily, some of his followers treated the Islamic ideal of tolerance with a pinch of salt. In the days of Caliph Al Mutasim, for instance, there was a case of some misguided people pulling down a Zoroastrian temple in Sughd to erect a mosque, for which offence they were flogged by the Caliphate, as observed by Daniel Chwolsohn in Die Ssabier und Der Ssabismus (1856). However, incidents like these were enough for the ancestors of the Parsis make up their minds to migrate eastward to safeguard their faith. 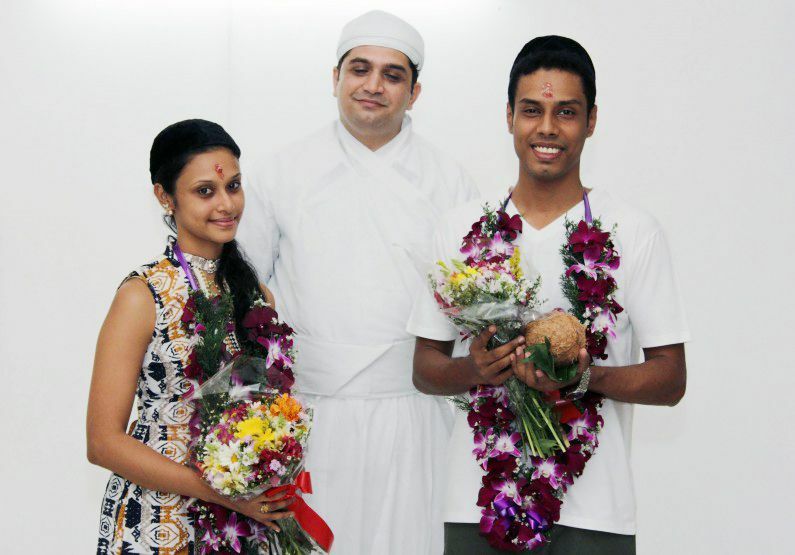 Religion, after all, is very important to the Parsis. Their faith is basically a monotheistic one, centred on the belief in the One True God whom they call Ahura Mazda or ‘Wise Lord’ as can be seen in the Gathas of the Prophet Zarathustra and his Great Maga Brotherhood. In later times, the faith became more dualistic, with the earth as a battlefield between the forces of Good led by the Wise Lord and the forces of Evil led by Ahriman, a Satan-like character who was even thought to have the power of counter-creating things like cold winters and noxious creatures like ants. In still later times, fire as giver of light came to be regarded as the symbol of Ahura Mazda, and so fire was revered, being kept in their temples without being allowed to go out, giving rise to the belief that Parsis were ‘Fire Worshippers’. And so in the 9th century, the ancestors of our Parsis headed for Gujarat in Western India, persuading its King Jadhav Rana to allow them to settle. The story goes that their head priest, in order to satisfy the suspicious monarch of their intentions, took a bowl of milk filled to the brim and added sugar to it, telling the king that just as the sugar beautifully blended into the milk and added to its taste without displacing any of it, so too would his people blend into the land and sweeten it. The King was convinced, and so began the great days of the Parsis in India. The TATA Company, one of the largest firms in India specialising in vehicle manufacture was, for instance, founded and owned by a Parsi family. 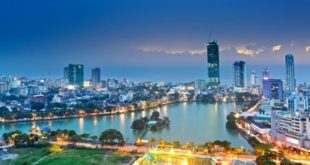 In British colonial times, enterprising Parsis looked further south, and set their sights on Sri Lanka, bringing home a good many Parsi families. The Parsis are known for their pioneering spirit and it is possible that even before colonial times, a few had established themselves here. However, it was when Ceylon (as Sri Lanka was known) was part of the British Empire that the first recorded migrations of Parsis here took place, their eyes set on import-export trading, upon which they would build their fortunes. According to Jamsheed Choksy*, as early as the late 1700s and early 1800s, about a hundred Parsi men lived in Colombo Fort as merchants and as planters in the estates of the Central Province. One of the earliest such entrepreneurs was Dady Parsi, based in King’s Street, Colombo Fort, whose company in the early part of the 19th century handled much of the transportation of goods in and out of the Port of Colombo. Another early pioneer was Framjee Bikhajee, who arrived in Ceylon in 1817 and founded a company that would in later times own the famous Framjee House in the seaside neighbourhood of Colpetty, and a large shopping mall located on the corner of Main and China Streets in Pettah. 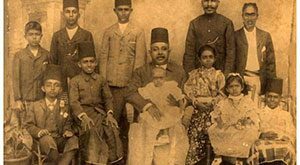 A further spurt of immigration took place in the late 1800s and early 1900s, bringing many of the Parsi families who rose to prominence in subsequent years, and whom we are most familiar with. Prominent Parsi families today include the Captains, Choksys, Khans, Billimorias, Pestonjees, and Jillas. The ancestor of the Choksy family, K. D. Choksy, arrived from Bombay in 1884 as an employee of Framjee Bikhajee & Co. His son, Nariman Choksy, rose to become Queen’s Counsel and Justice of the Supreme Court, while his grandson, Kairshasp Choksy, PC, went a step further. He took to politics and became an MP before becoming Minister of Constitutional Affairs, and later Minister of Finance, the highest achievement for a Sri Lankan Parsi. Pheroze Choksy, another member of the clan, became a famous architect. The Captains are another old Parsi family long settled here. Its founder was Eduljee Captain, who served as General Manager of Wellawatte Spinning and Weaving Mills from its establishment in 1914 until 1966. His son, Sohli Captain, owned Wellawatte Spinning and Weaving Mills and his grandson, Rusi, went into corporate investments. The family is the largest shareholder of John Keells Group, a large business conglomerate running a supermarket and hotel chain. The Captains are well known for their services to humanity. 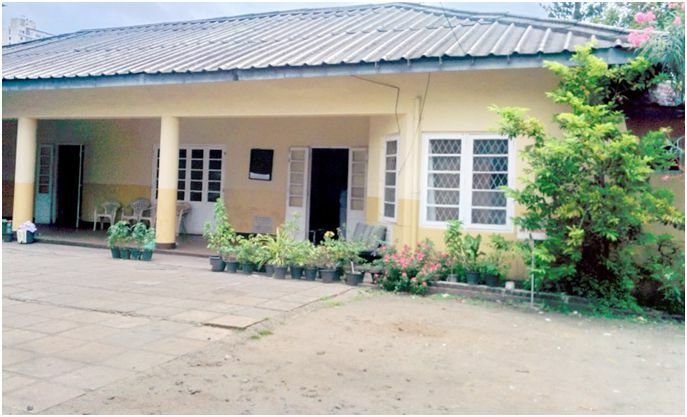 Sohli Captain developed Sri Lanka’s first cancer hospice, and his sister, Perin Captain, has also contributed much to the Child Protection Society. Yet another long established family were the Billimorias. As we gather from the Ceylon Observer Christmas Number 1921, the Britannia Bakery established in 1900 was owned by Framjee Billimoria of Hospital Street, Colombo Fort. 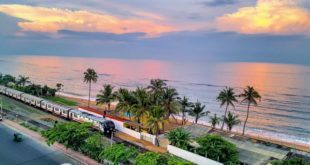 And it was Homi Billimoria, a renowned architect, who designed the Mumtaz Mahal, the official residence of the Speaker of Parliament in Colpetty, and Tintagel, which became the family home of the Bandaranaikes. The Khan family owned the Oil Mills in Colombo and built the Khan Clock Tower in Pettah, still a prominent landmark of the area. The N. D. Jillas, another well-known family, started Colombo Dye Works along Turret Road in Colpetty, while the Jilla brothers Homi, Kairshasp, and Freddy served in varying capacities. Homi was an army physician, Kairshasp a naval officer, and Freddy a civil aviation officer. The Parsis are a very religious community, understandable for a people who migrated to yet unknown lands just to preserve their faith. The Ceylon Parsi Anjuman was founded in 1939 and administers the community prayer Hall, Navroz Baug (‘New Year Garden’), and the ‘Agiari’ (Fire Temple) down Fifth Lane, Colpetty, which is served by a ‘Mobed’ or Zoroastrian priest. The Temple, unlike the traditional Agiaris, does not have the ‘Atashbehram’ or ‘Eternal Flame’, kept lit day and night, but still suffices for the religious needs of this small community. There was a time, over a hundred years ago, when our Parsis like those elsewhere exposed their dead in a Dakhma (Tower of Silence) to be devoured by birds of prey, but this has long been given up in favour of inhumation in Aramgah (Places of Repose). Aban Pestonjee, who serves as Trustee of the Parsi Club along with Sohli Captain, is hopeful of preserving the community’s identity. The Parsi Club and Navroz Baug, both in Colpetty, serve as venues for social and religious gatherings such as the Zoroastrian New Year, Prophet Zarathustra’s birthday, and the communal feast known as Gambhar. 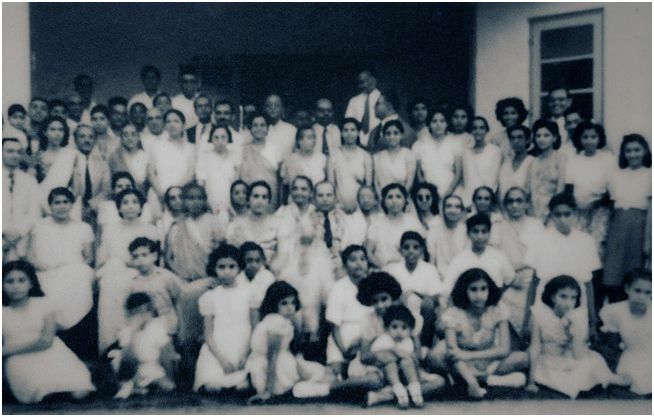 Aban explained that although the offspring of Parsi women who marry out are not considered Parsis and not allowed into the inner sanctum of the temple, they meet in the balcony of Navroz Baug for the communal meal, which is partaken of by about 60 people, of both completely Parsi as well as mixed origin. She also observed that there is a trend to be more accommodating to offspring of mixed unions, and that recently, two siblings of a mixed Parsi-Sinhalese union were formally inducted into the community, bringing the number of Parsis living in Sri Lanka to 42 persons. Although a very small community, our Parsi friends are a great inspiration for all of us who call this beautiful island home—seamlessly integrating and contributing to our nation in so many ways. And to think they came all the way from Persia!